The mall was 30 minutes shy of closing time so we were happy that Ramen X still accommodated us. Actually, we were the second to the last group of diners at Ramen X. :p The restaurant floor was giving off a serious fastfood vibe. The tables and chairs were all made from wood. Although sitting was far from cozy and comfortable, we did adore the cute anime graphics on the wall (sorry forgot to take pictures :p). You have to order through the counter, where the menu is pretty straightforward and seriously affordable (our bowls were like 150 pesos each, save for the X Ramen that was close to 200). I’m surprised though that they only had six ramen variants available (three under non-spicy, three spicy) as I was expecting a wider offering. They did have some rice bowls and several appetizers though. B’s choice was the Kimchi Ramen. Obviously, this is because he likes kimchi. A lot. Mine and his were essentially the same save for the kimchi addition. 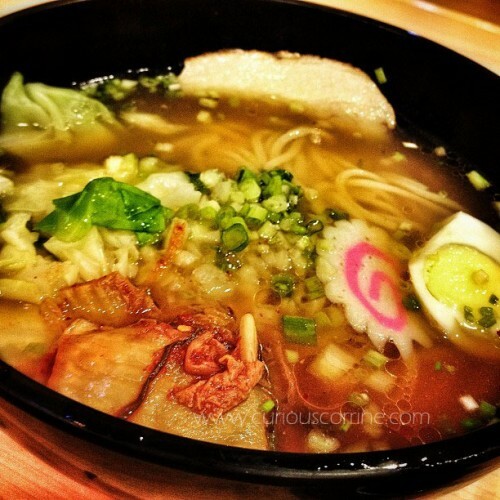 Ours has tender roast pork, half an egg, veggies, etc.. Oishi Ramen is as comforting as beef noodles. 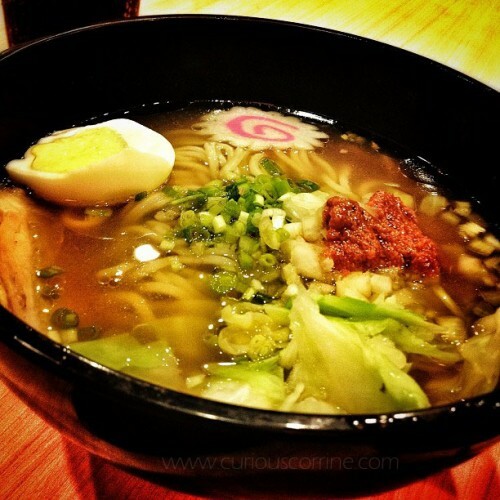 Kimchi Ramen offers the same, but with some kick so you don’t doze off. LOL. 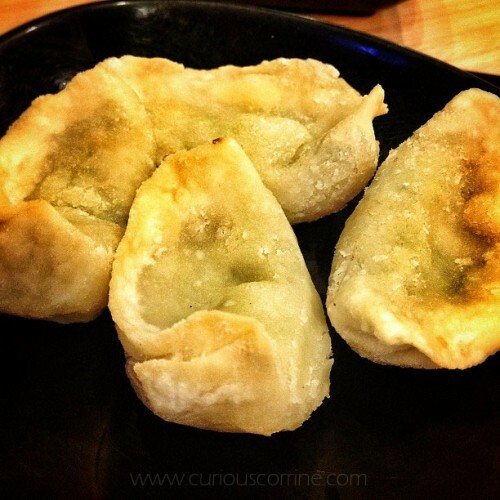 We also sampled the Gyoza. It was only selling for 59 pesos per 4 pieces, so it was virtually a bargain. I love gyoza but I think theirs were clumsily made. I’m not sure if being the last two groups dining there had something to do with it. Nevertheless, it tasted fine. They could use a bit more filling though. There was a plate of kimchi too, but I didn’t try it. 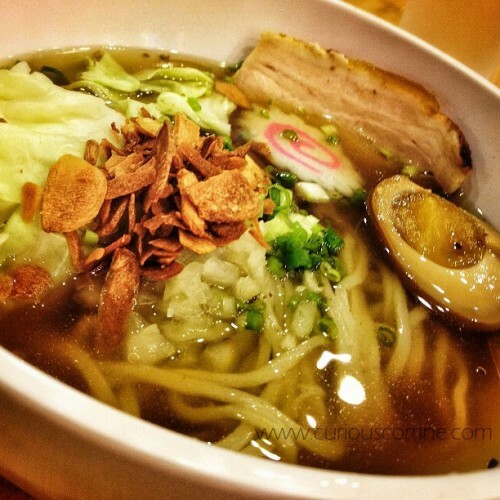 :p While Ramen X is far from being a true blue ramen house, their effort is commendable. I think they could use a more exciting menu and better location (in their Alabang Town Center brand, in particular). 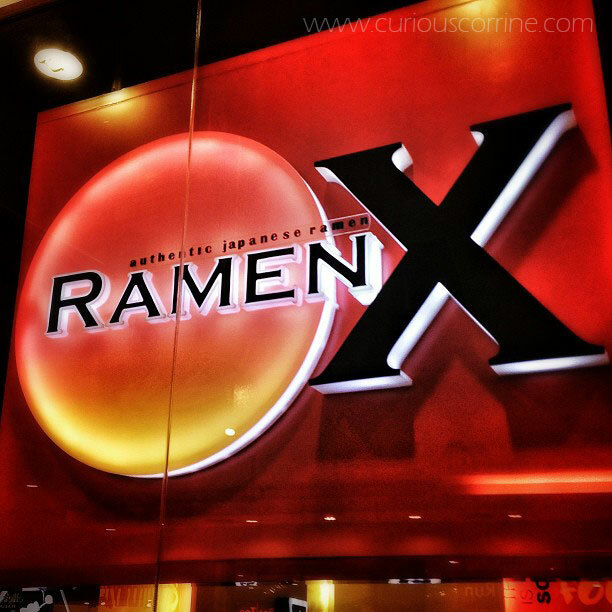 We would have left Ramen X with big smiles and happy tummies, but no, their waiters had to ruin it for us. Yes, we know we’re the last customers there. Yes, we know you still have to clear our table (albeit you guys already stacking chairs like crazy while we’re still eating). But no, we don’t get why you have to loudly talk — clearly trying to make yourselves heard — about how much you want to go home already. “Uwing-uwi na kami, umalis na kayo.” – something to that effect. Rude. This entry was posted by Hanna Corrine Salta, who has written 63 posts as corrine, on Friday, January 31st, 2014 at 8:52 am and was filed under Restaurant.